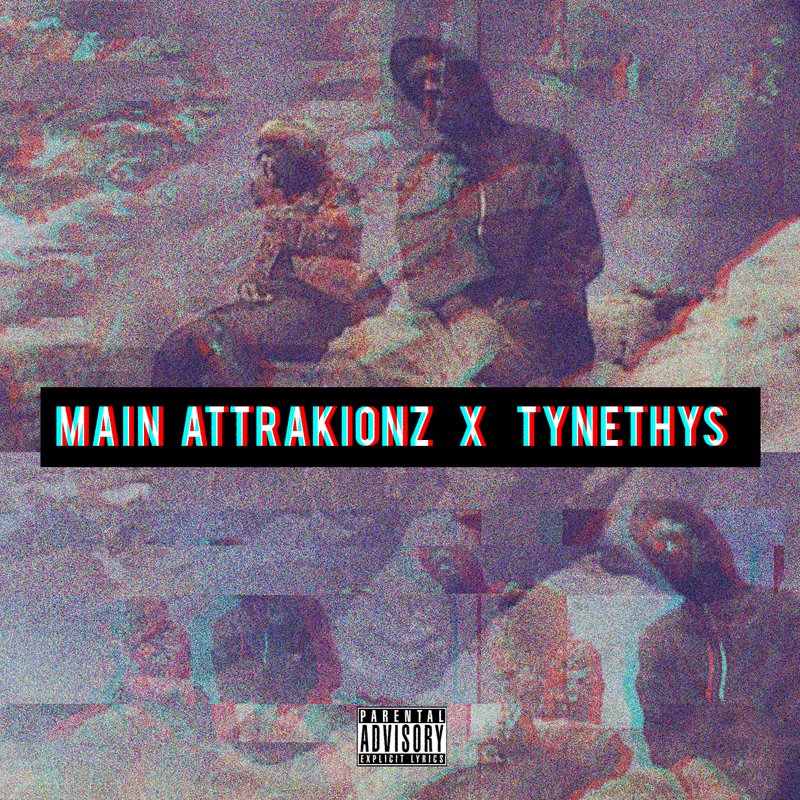 On October 22nd, indie rap favorites Main Attrakionz and upstart producer Tynethys will release a new mixtape, the essentially self-titled Main Attrakionz x Tynethys. Originally planned for release earlier this year, the Bay Area rappers and Sacramento producer hit a snag when the hard drive on which their entire album was saved, crashed. Rather than attempt to re-record the old music, the three, well known for the prolific nature of their musical output, got back in the studio and recorded an entire new mixtape. That mixtape is Main Attrakionz x Tynethys, and it was announced a few weeks back, with a Pitchfork premiere for lead single “On1.” Today, the trio is excited to give fans the latest single, “International,” premiered in conjunction with The FADER. Please contact Michelle or Dan if interested in talking with Tynethys. To hear him tell it, Sacramento’s Tynethys’ (pronounced “Teen-this”) musical style is like “selling crack in a Sub-Zero outfit.” For the MC/producer, Mortal Kombat is just one of his inspirations, along with local rap heroes Mac Dre, C-Bo and T-Nutty. Producing and writing his songs in the hours between midnight and sunrise, Tynethys is a jovial, pensive creator with a stoner’s laugh and street vernacular. Tyne’s style is a fuzzy free-form that speaks not only to his worldview from his bedroom, but many like him. With the forthcoming Thyluxe Edition follow-up to last year’s Lost Angeles album, Tynethys believes he’s hitting his best stride. “I feel like it is the truest representation of me. I did it without trying too hard.” Besides his own work, Tynethys appeals to many collaborators. On October 22, he will release a project with Oakland duo Main Attrakionz. “I really fucked with these dudes. They came to Sacramento, and I literally showed up at their hotel room with a lab,” recalls T.P., who arrived with a portable studio. Having opened for Kendrick Lamar, Raekwon and Evidence, it’s only a matter of time until Tynethys transports his sound around the globe.